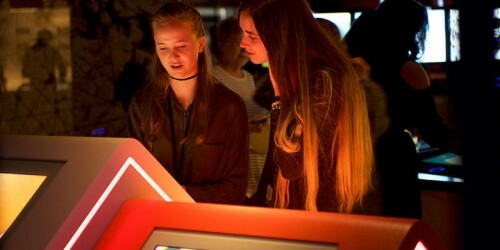 While the previous series was still in production, planning had begun for the Bank’s next series of notes. 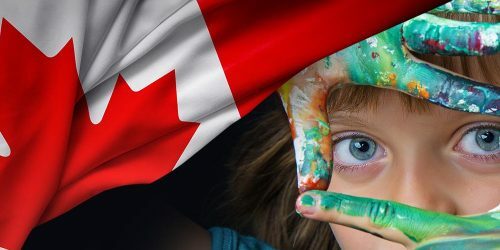 Technology was catching up to security printers in the form of accurate colour printing processes and by the early 80’s, colour copiers were an even bigger threat. 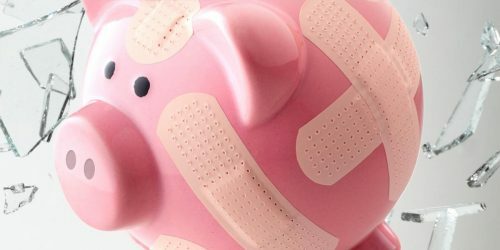 This was one of the first bank note series anywhere to include a reflective, colour-shifting patch to combat photocopier use. 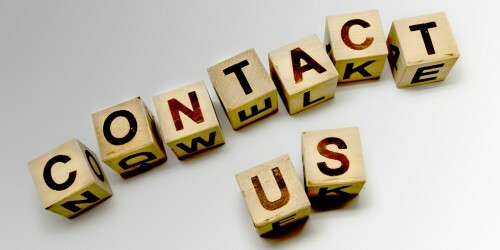 The bills also contained internal identification features for the visually impaired, only readable by electronic means. 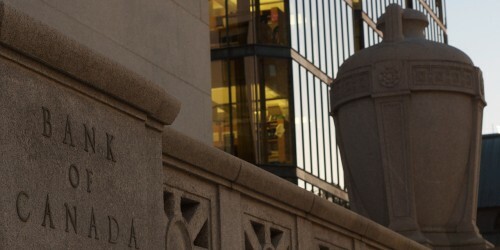 The bill design itself also featured over-sized images and numbers for easy legibility. This was the last series to carry traditional looking ‘guilloche’ patterns (as seen in the numbers and bands on the front) which gives way here to more sophisticated micro printing of words or patterns appearing behind the main features. 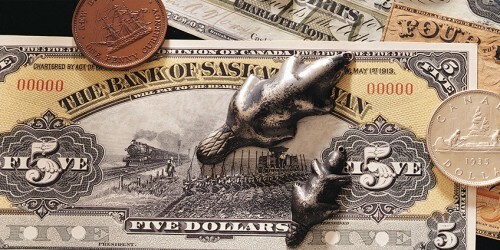 It was decided to feature birds on the notes because of their political neutrality and for their visual simplicity. 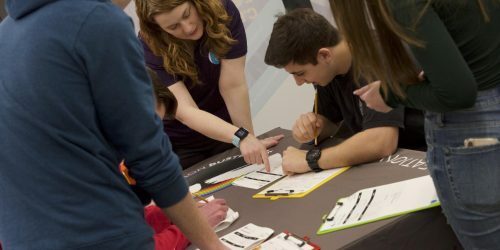 Unlike the traditionally complicated security printing style, it was decided that open, simple forms were more secure from counterfeiters as it was thought that imperfections would be more easily detected. Nature artist John Crosby was hired to provide the bird illustrations and to oversee the lithographers in the production of his work. 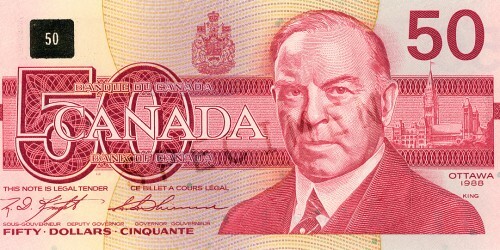 Each bird species was chosen both for its pan-Canadian habitat and to compliment the colour themes of the notes. 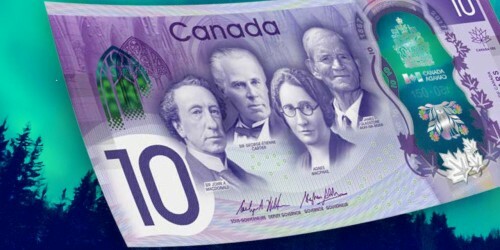 This would be the first series without a $1 bill and the last series to carry the $1000 and the $2 bills. 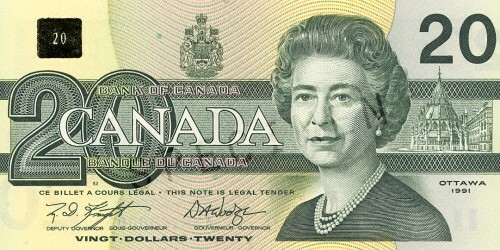 Issued in September 1986 and printed by both Canadian Bank Note Company Ltd. and British American Bank Note Company, the $2 note was the second in the new series and features a portrait of the Queen engraved by Henry S. Doubtfire of De La Rue, based on a photograph by Anthony Buckley. 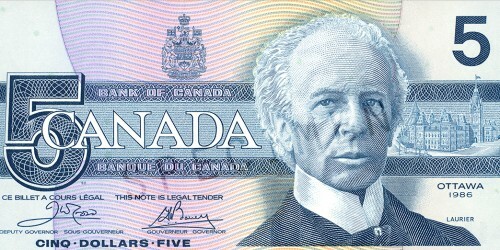 The face of the $5 note features a portrait of Sir Wilfrid Laurier engraved by Yves Baril. 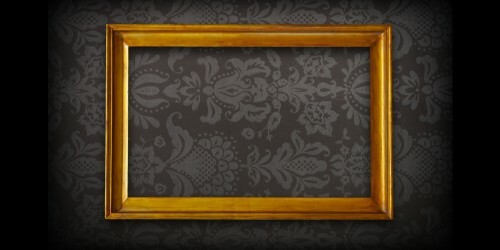 Beside the portrait is the Centre Block of the Parliament Buildings as it appeared in Laurier’s day. 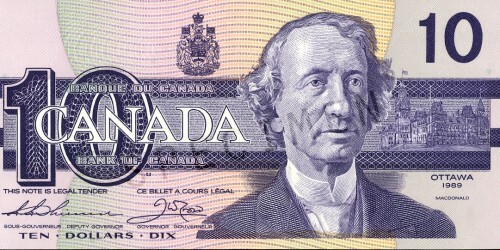 Printed by British American Bank Note Company and issued in June 1989, the $10 note features a portrait of Sir John A. Macdonald engraved by Thomas Hipschen of the U.S. Bureau of Engraving and Printing. The face of the $20 note features the Doubtfire engraving of the Queen that appears on the $2 note, but the adjacent vignette spotlights the Library of Parliament. 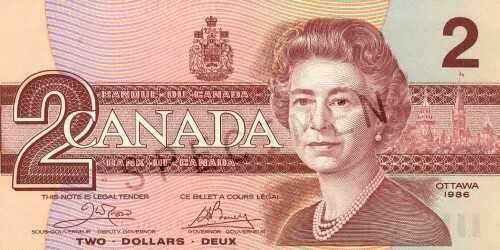 The $50 note issued in December 1989 was the first in the series to carry the cutting edge optical security device on its face. 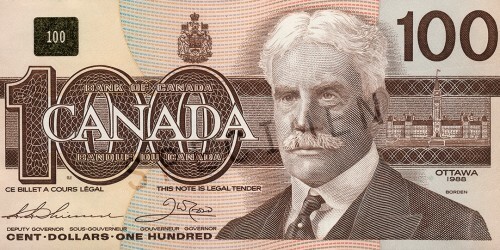 The second note to feature the optical security device was the $100 note, printed by British American Bank Note Company issued in December 1990. 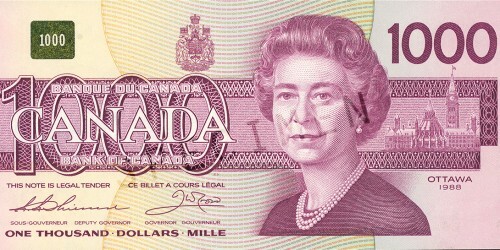 The note’s face features the Queen’s portrait. On her left is a view of the Parliament Buildings, showing the north side of the Centre Block with the Library of Parliament in the foreground.